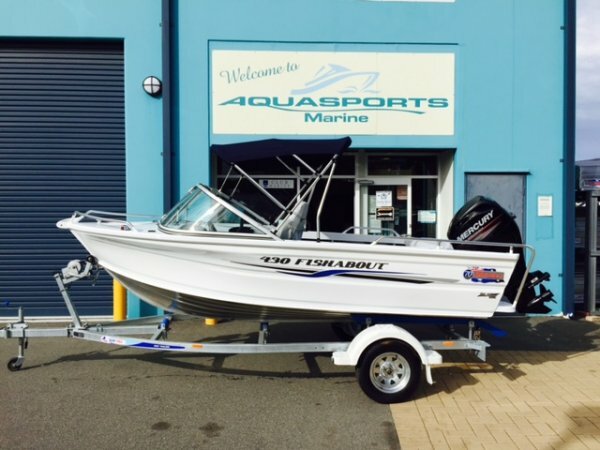 Brand New Quintrex 430 Fishabout package, has all the essentials for a fishing trip or a cruise around the estuary or river with plenty of room for five adults. Easily managed in and out of the water, we offer packages with Mercury or Yamaha 4 Stroke outboard options. - 12 Months boat and trailer registration, all Stamp duties paid. Phone Perth's Quintrex dealer of the year for 6 years running, we wont be beaten on price or service. ****Ask us about our ultra low finance options - we have no deposit finance options available. NB - Photos for Illustration purposes only, may include options not included in price.